South Korea's biannual defense white paper issued on January 15 removed the line "South Korea and Japan share fundamental values of liberal democracy and market economy," an action that serves as a reflection of current strains between the two countries. The day before the white paper was released, defense officials from both sides met in Singapore to discuss whether a Korean warship had locked its targeting radar on a Japanese patrol plane last month. Both sides held to their own version of the incident without reaching an agreement. Since last summer, a string of incidents, including the Supreme Court in Seoul ordering Japanese firm Mitsubishi to compensate South Koreans for forced labor during WWII, and the decision from the Blue House in Seoul to dissolve the Japan-funded Reconciliation and Healing Foundation, were seen as heavy blows to the bilateral relationship. The subtle changes in South Korea-Japan ties reflected in the defense white paper is another example. The two nations are both important US allies in the Asia-Pacific region. Victor Cha, senior advisor and Korea chair of the Center for Strategic and International Studies, calls it a "quasi-alliance" between Japan and South Korea in his book Alignment Despite Antagonism. Still, the bilateral relationship has undergone twists and turns. At the end of 2012 after Shinzo Abe was re-elected prime minister, and his provocative remarks on historical and territorial issues plunged South Korea-Japan relations to a new low. Not until the US intervened to mediate did their bilateral relationship begin to thaw. However, the dispute now is more complicated than previous ones, making it difficult to seek rapprochement. New problems, such as the radar spat, have complicated the relationship. Even if the two governments intend to adjust relations, the hostility against each other in both nations' societies will not fade any time soon. Washington hasn't intervened in this latest rift between Tokyo and Seoul. Since the end of WWII, the US has played a special role in the development of Japan-South Korean relations. The reason why the two countries could normalize diplomatic relations in 1965 with many problems unresolved was due to US efforts aimed at bringing both nations together. But current US President Donald Trump has shown little concern for the Tokyo-Seoul spat as the US has not taken any actions to mediate. Normally, third-party factors such as people-to-people exchanges, economic cooperation and trade can help break a diplomatic stalemate. Given the rising antipathy toward each other, especially given the fact that the enthusiasm of Japanese businesses investing in South Korea has been dampened by South Korea's Supreme Court rulings, third-party factors would not have much of an influence to help the relationship thaw. The North Korea issue was once a factor in promoting the easing of relations between South Korea and Japan. Every time Pyongyang conducted a missile test, Japan and South Korea communicated with each other immediately afterward. But since last year, the Korean Peninsula has gradually stabilized as North Korean leader Kim Jong-un reaffirmed his commitment to denuclearize. The latest dispute between Tokyo and Seoul will not be resolved soon, and there is no sign of a détente for the time being. 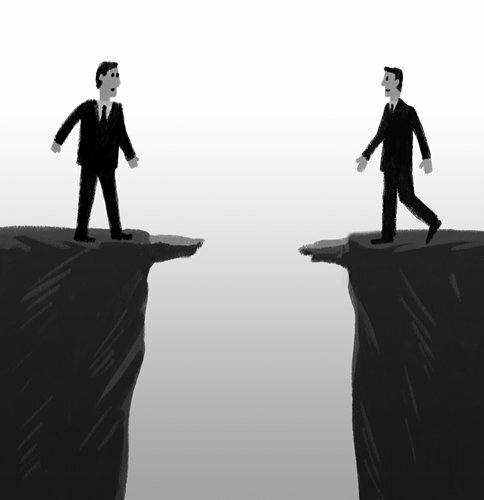 How to break the current stalemate will continue to test the political wisdom of both sides. The two nations are both important neighbors of China. As China holds the rotating presidency of the China-Japan-South Korea leaders' meeting this year, I think China could use the status to promote the improvement of their relations. Amid rising global trade protectionism, inspiring Japan and South Korea to thaw relations will help accelerate the negotiation process of the China-Japan-South Korea free trade zone, thus contributing to regional and global economic development.